When the lifts close it normally means an end to your day. With a Jumpack you can continue you the fun into the evening by creating urban jump spots around the hotel or chalet. Although we are all used to creating our kickers from snow, The Jumpack portable snowboard ramp offers something a little different. When trying to clear that gap into the down slope, the Jumpack kicker provides the opportunity to place the ramp in a safe position and as your confidence grows, move it back with every jump to find the perfect distance. For boarders not yet familiar with getting air, it offers a safe way to learn away from the busy snow parks. 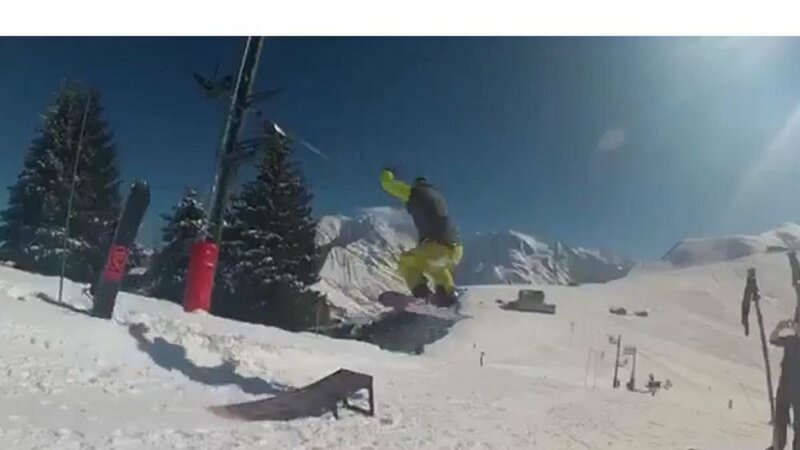 Simply place your portable kicker beside a drag lift and spend your day hitting your own private ramp until you're ready to mix it up on the bigger stuff..
Jumpack boss gets some style in Saint Gervais, France.